"The reaction was beyond our wildest dreams." 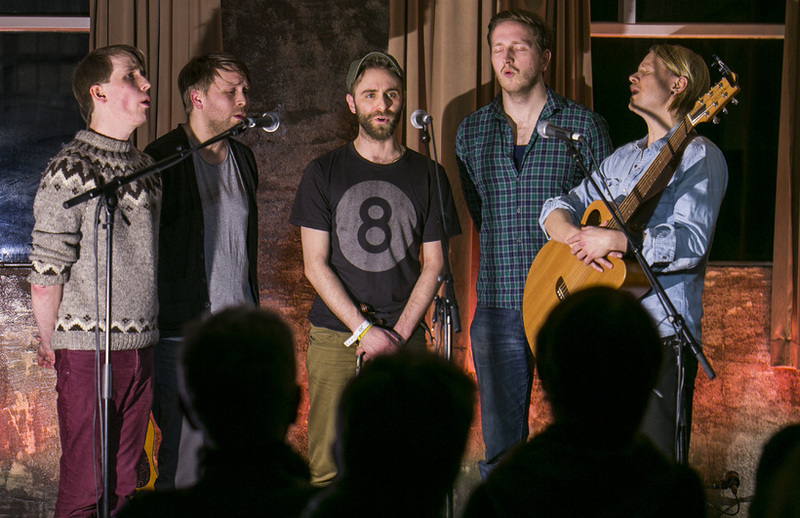 A recording of Icelandic band Árstíðir singing an angelic version of an old Icelandic hymn in a German train station now has almost five million views on YouTube. As a comparison, Björk's Human Behaviour from 2010 has 1,6 million views. "The reaction was beyond our wildest dreams," says Daníel Auðunsson, guitarist and singer in Árstíðir. The hymn, Heyr himnasmiður, which is by Þorkell Sigurbjörnsson with ancient prose by Kolbeinn Tumason, who allegedly composed it on his death bead is also gaining new heights in popularity abroad. Auðunsson says the recording has clearly help put the band on the world map, and their latest record, out last March, received great reviews. The reason Árstíðir sang in the Wuppertal trainstation in Germany was that someone had pointed out the great acoustics of the place to them. "Our PR agent recorded us singing there and she put it on YouTube the same evening. That's when everything started." You can see Árstíðir at Iceland Airwaves, at Harpa's Norðurljós hall on Wednesday night, the Laundromat café and Bar 11 on Thursday night (off-venue) and at the Nordic House on Sunday.